“The incident highlights a shocking... state of affairs where the best situation one can hope for is that an inquiry will discover that this was a case of officials and employees in the election machinery being slothful and careless,” said Raghav Chadha. The AAP Monday wrote to the Chief Election Commissioner demanding an inquiry into the alleged discovery of dumped voter identification cards at Badarpur. 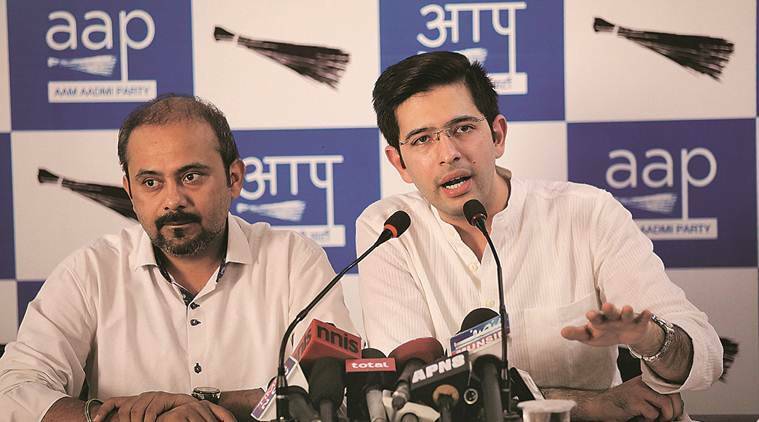 “The incident highlights a shocking… state of affairs where the best situation one can hope for is that an inquiry will discover that this was a case of officials and employees in the election machinery being slothful and careless,” said AAP South Delhi candidate Raghav Chadha in the letter. “The AAP, however, verily believes that this is merely another chapter in the larger electoral fraud being perpetrated by the said political party, which, having discovered its attempts at deletion of names from electoral rolls being foiled by AAP and the vigilant citizens of Delhi, has stooped to such desperate levels to perpetuate their fraud,” Chadha wrote.